Effective healthcare human resources leadership, and more recently, recruiting and employer branding are the center pieces of my career. As in, my entire career. It's been a wild ride, but for the most part, I wouldn't trade any of it for a different path. Except perhaps, for what feels like an eternally long time before I figured out how to lead in the modern world. Useless? Does that sound a bit harsh? Well, guess what...if you're still "going slow" and "making sure you have guaranteed results before you make a decision" you are actually no longer doing your job. You're coasting to retirement. I can only hope you're 70 years old. For the rest of you, this approach will guarantee that you recycle the same tired excuses that the other executives in your organization have been listening to HR repeat for years. This is why the eye-roll is still in vogue. This is why your "seat" is actually a high-chair at the table. This is why you won't really look in the mirror any more. 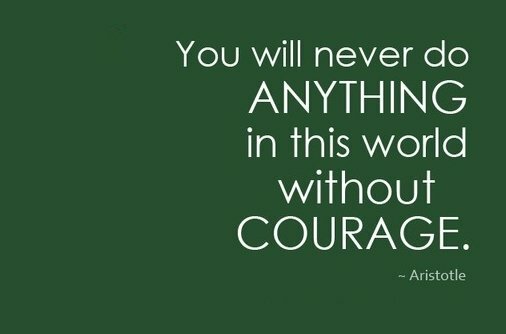 When you're asked about your hard skills, does courage ever make the list? I didn't think so. It wasn't on my list either...for years. That is, until I grew sick and tired of being a "cost of doing business" in HR, and decided HR needed to make a big time impact. So I changed. I took risks. (which in retrospect were hardly 'risky')...and I made a big difference. Are you ready to stop talking about the same old BS, and start leading in a meaningful way? Your colleagues don't believe that you have the courage. 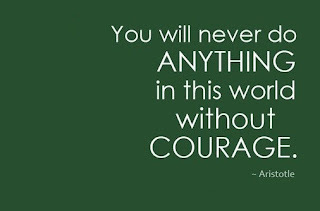 Your staff doesn't believe you have the courage either. Hey Recruiter! No Brand? No Game.